What can we learn from the Nordic low-carbon energy transition given the new US leadership vacuum on climate change? A new study by Benjamin K Sovacool offers some important lessons. Given the American leadership vacuum on energy and climate change, national and local planners looking to bring about energy transitions will need to look elsewhere. Five Nordic countries – Denmark, Finland, Iceland, Norway and Sweden – could hold answers for how to make the transition to a more energy efficient society generating energy through renewables. About 83% of electricity generation in Nordic countries is low-carbon, of which 63% comes entirely from renewable sources. The Nordic countries are also facilitating other low-carbon transitions across other sectors including heat, buildings, industry, and transport. 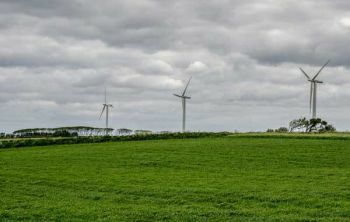 Samsø, a Danish island, generates all its electricity from wind power and biomass. Trade and interconnection with Europe are instrumental to the Nordic countries reaching their carbon and energy targets. Nordic electricity trade must expand considerably— underscoring the need for paralleled, coordinated grid development and interconnections with Great Britain, the Netherlands, Germany, Poland, Lithuania, Latvia, and Estonia. “It’s as much a regional governance or European challenge as it is a national priority for individual Nordic states,” says Sovacool, a Professor of Energy Policy at the University of Sussex’s Science Policy Research Unit and Director of the Centre on Innovation and Energy Demand. Even for the Nordic countries, which are relatively wealthy, small, and committed, the transition will take at least three to four more decades. Its success rests upon a number of compelling technological contingencies or breakthroughs, each of which will take time. A few such breakthroughs include a continued phase out of nuclear power; a rapid ramping up of onshore and offshore wind energy; a spectacular diffusion of electric vehicles; a massive increase in bioenergy production; and the commercialization of industrial scale carbon capture and storage. On top of this, households and consumers must learn to adopt better energy management systems and industrial planners must come to install newer cement kilns, electric arc furnaces, and feedstock switching for chemicals, petrochemicals, and paper and pulping.